Antec Eleven Hundred (1100) – 4 Way GPU able! MANILA, Philippines – May 9, 2012 – Antec, Inc. is proud to announce the Eleven Hundred, the newest member of the award-winning Gaming Series. The Eleven Hundred marks a new chapter in the Gaming Series with an all-new attractive design and a revamped lineup of expandability, cooling and convenience features. Gamers seeking the highest level of performance will want to take advantage of the Eleven Hundred’s support for XL-ATX sized motherboards and four-way GPU configurations – the most expandability of any Antec chassis. The Eleven Hundred features default 200 mm top and 120 mm rear fans and mounts for up to seven more fans for advanced GPU and hard drive cooling – including one 120 mm intake fan behind the motherboard tray to cool the CPU. Users can also utilize the included fan power hub to connect up to four 3-pin fans to a single Molex for improved cable management. 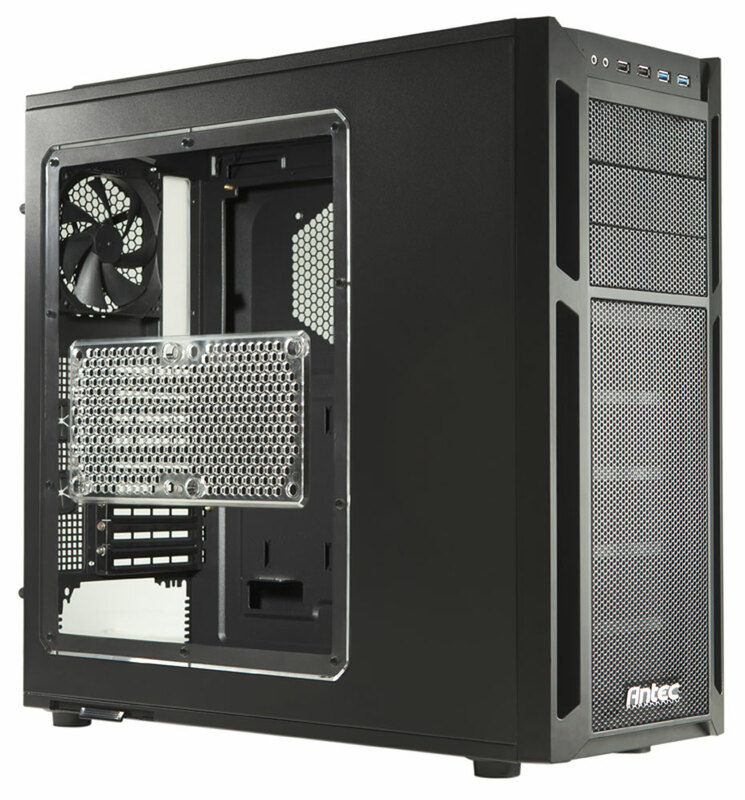 Emphasizing ease-of-use in a gaming enclosure, Antec introduces tool-less 5.25” and 3.5” drive bays for hassle-free installation. Up to 36 mm of cable routing space and grommet-lined cable routing holes help users organize their builds while allowing for easy installation of future components. For convenient maintenance, the PSU intake & front air filters can be removed without taking off the side panel or tipping the case. The Eleven Hundred enclosure is now available at select distributors, resellers, e-tailers and Octagon Computer Superstores, and comes with a three-year limited warranty. Manufacturer’s Suggested Retail Price (MSRP) for the Eleven Hundred enclosure is PHP5,750. 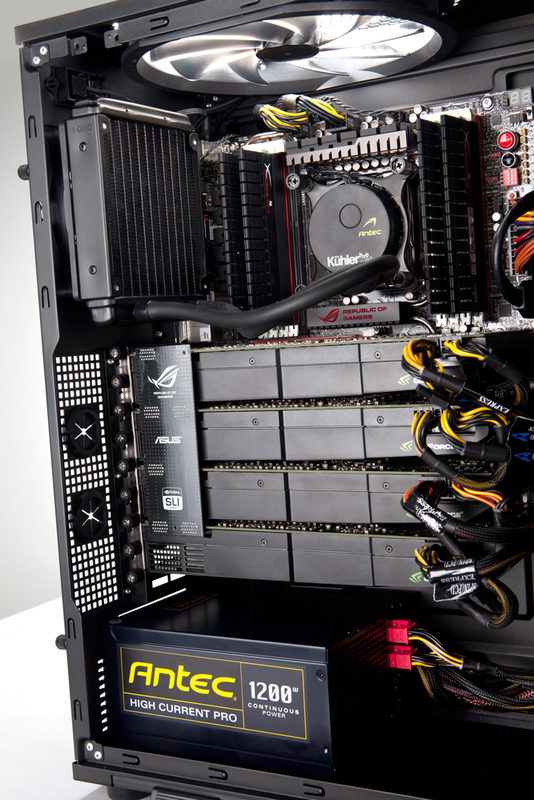 For more information on the Eleven Hundred, please visit the product page at http://www.antec.com/ElevenHundred . Follow the official Antec Philippines Facebook page www.facebook.com/AntecPh and Antec YouTube channel http://www.youtube.com/user/watchAntecTV for up-to-date information and product videos. Thanks for your help! Thanks, so much appreciated!